You know what's around the corner, summer's not even fully finished and the heads of the utility companies are plotting the annual dreaded price increases on those that can ill afford them the least. Little do the heads of these companies actually know what their front line workmen are really doing to show the customer that they really support them in their hour of need. Well we suppose that this is real customer service, and if these two 'fit as' workmen have their way they will be in and out as quick as possible and certainly wont be clearing 'their' mess up they leave behind. It's pure Triga, pure British, and two hours of classic bloke on bloke action that only Triga does. Oh and we haven't even mentioned his mates, we'll leave that for you to discover! 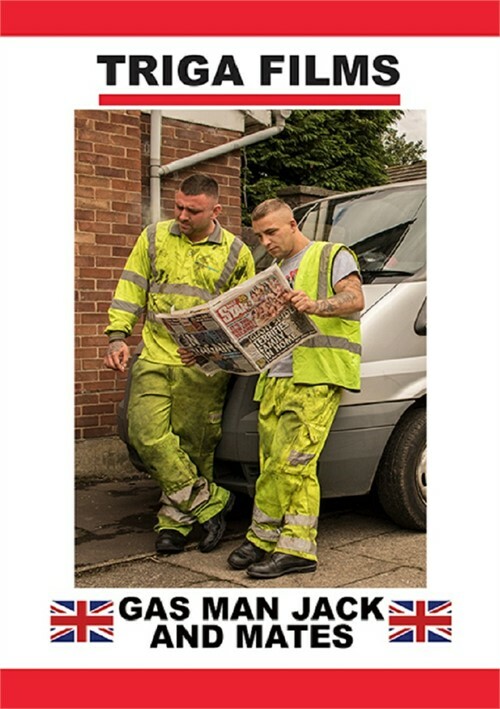 Review "Gas Man Jack and Mates"